Entrepreneurialism is not a fixed concept and in the context of exploring cultural work, can be described as a ‘social action rather than an identity marker’, despite common perceptions of the entrepreneur as having a fixed identity and set of characteristics. In this paper I will investigate how critical discourse analysis can illuminate issues of truth and power relations in an attempt to explore cultural work and its relationship with entrepreneurialism. In exploring Foucault and more specifically Fairclough’s approach to critical discourse analysis I am attempting to make use of existing theories to analyse the subject of cultural entrepreneurship. 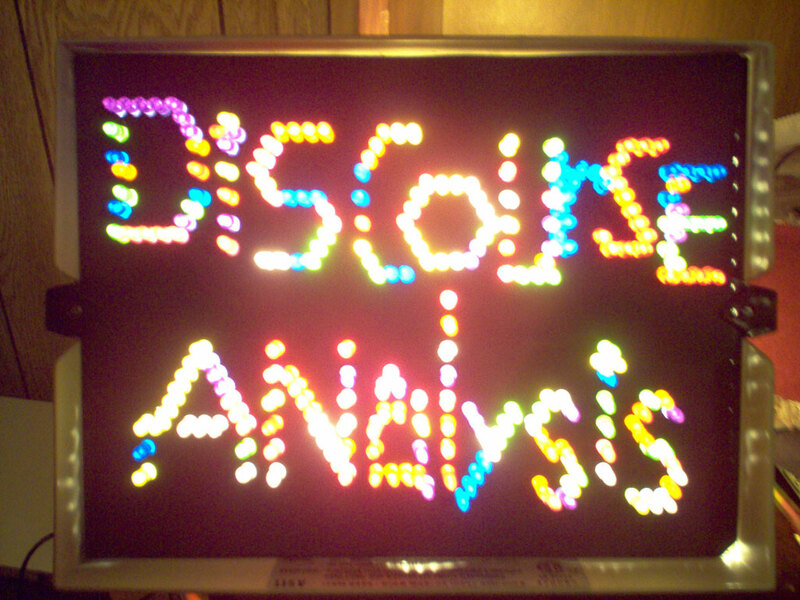 Foucault’s discourse analysis, based on the idea that truth is not fixed but a construction of interpretations that are believed to be true, offers a theoretical framework to scrutinize the complex social, cultural, economic and political relationships underpinning the idea of cultural entrepreneurship, as presented in recent cultural policy discourse. The importance of power relationships in Foucault’s exploration of knowledge and truth is appropriate to the manner in which both education and cultural policy have seemingly adopted entrepreneurship. According to Fairclough, semiosis figures in the three ways in social practices. Firstly, in the action which is specific to the social activity such as the use of language associated with being a musician, might include an informal quality and specific terms commonly used in that context. Secondly, depending on how they are positioned within a field of practice, different social actors will produce representations of their practice or of other practices such as a film producer might embody someone with a tight hold on a budget, a representation usually epitomised by an accountant or financial manager. Equally, depending on whether she is established within the field, she might self consciously adopt a different representation of a film producer role, less focused on the budget but on quality. And finally, semiosis plays a part in the way of being so that for example, an entrepreneurial individual starting a business might adopt a way of being associated with the identity of an entrepreneur, an identity which can appear to be relatively fixed such as that of a prime minister. Broadly, semiosis enables us to explore complex relationships, which are acted out as part of social activities, in this case the manner in which cultural entrepreneurship is acted out and represented in social life through diverse ‘discourses’. For example, the discourse of entrepreneurship in cultural work is represented in different ways in academia, government policy, business and by cultural workers themselves. It is enacted in different ‘genres’ such as the way meetings are held and the way in which it is written about. Finally, semiosis constitutes certain ‘styles’ associated with individuals such as the style of the founder of a web design company or the creative director of a theatre. According to Fairclough, an ‘‘order of discourse,’ is the specific articulation of diverse genres and discourses and styles.’. An ‘order of discourse’ in a social field such as cultural entrepreneurship can be explored through dominance as opposed to the less common view, opposing or alternative meanings. For instance, there might be a dominance in discourse between funding agencies in the cultural sector (perceived as having an authoritative role) and new cultural organisation seeking funding ( perceived as marginal or as inexperienced). This can be characterised by the concept of ‘hegemony’, where power is exerted by a group and an order of discourse can be analysed in terms of relations of dominance although rather than a closed, black and white system, it can also be challenged. An important question in understanding the relationship between the practices of cultural workers and the recent encouragement of entrepreneurship in the sector, is to what extent this idea of a cultural entrepreneur is a constructed as a result of being driven by dominant discourses. These discourses might be imagined, might represent the way things could be or have been. The rhetoric of creativity and entrepreneurship associated with a sense of autonomy, independent thinking, counter cultural etc can become enacted in the way in which cultural workers behave in meetings, discuss and write about their practice thus potentially creating new identities. Indeed this accurately depicts the situation in which many cultural organisations have found themselves in when, as a result of arguing for a larger share of public funding for the cultural and creative industries, they have become experts in drawing down funds normally associated with business creation and support for traditional sectors such as manufacturing while, sticking more or less, to their core practice and only partly adopting new practices. For a concrete example, the setting up of a network in Birmingham known as the Design Maker Forum West Midlands, historically supported by the Arts Council, was possible through Regional Development funding which came with a set of criteria in the form of outputs such as ‘business assists’ and ‘businesses created’. This discourse including the language changes the focus of support from one associated with artistic development, as would have been the case with arts council funding, to one predominantly about the business aspect of being a designer maker. Entrepreneurialism in cultural policy and practice can be seen as a particular strategy for change, as part of a contemporary neo-liberal political agenda introducing a specific paradigm to what had been the dominant order, which could be generally described as romantic (not associated with business and enterprise but instead with a counter-cultural movement and bohemia). The discourse of cultural entrepreneurship is not only imagined but also grounded in practical and concrete frameworks through policy and represented in projects and cultural work by social agents such as policy makers, funders and project co-ordinators. I am aware that by attempting to apply and these theories I may have over simplified the issues, particularly in my examples. I still need to get to grips with discourse analysis and this is just a first attempt. My next task is reading Sara Mills. I’m a student of Linguistics in Sweden and I’m also reading up on Fairclough and Foucualt. I really liked your text, it was really good. I’m doing a presentation on Foucault in my class tomorrow and I’m going to stress how his theories are relevant to us as traditional linguists (and not primalrly as critical linguists). I must say though that I find that the one of the major clinches between the linguistic side of CDA and the more social theory/philosphical seems to be in the definition of discourse. Not unexpected but still. The way I understand Foucualt is that there is only one discourse in a society and it’s realised in all discurisve practices. It is only when looking on history that we can speak of more than one discourse. Whilst Wodak and Fairclough talks of several discourses, like you do. It seems to mean “frames of understanding” and/or “genre speech”. It’s presented as if people can master several different discourses at the same time..
To me, that’s not in line with Foucualt. But hey, I might just have misunderstood. Again; well written and fun to read!